It’s pretty common to work in an office surrounded by 10s and even 100s of coworkers, and the constant walking, talking, and business conducting could be very distracting to your everyday work. Which is why a conference call headset could make your life better or worse depending on the sound quality, comfort, microphone quality, and durability, especially if your job requires frequent communication. And who would know more about communication than us here at FreeConference.com? In this post, we present the best conference call headset of 2017 for either home or office activities. This Bluetooth cordless headset emphasizes audio quality and comfort (which we like), and includes additional features such as voice commands, smart sensors, and caller announce for incoming calls. 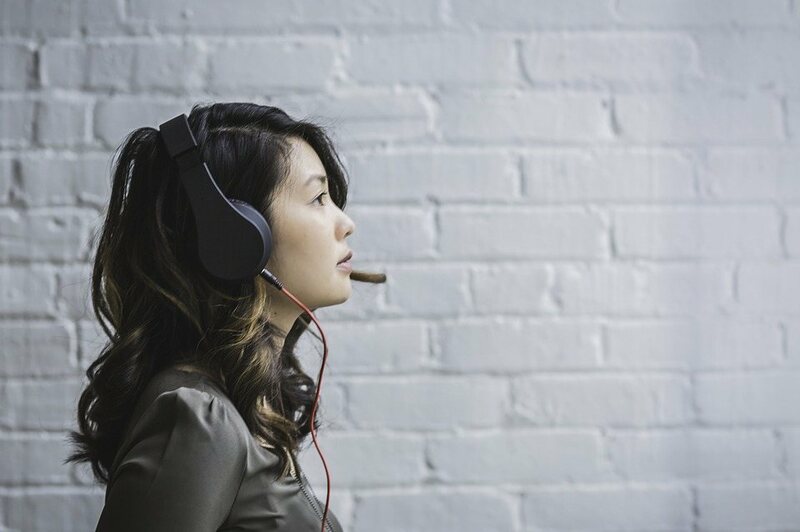 They weren’t kidding, after trying on the Voyager Legend, the flexibility of the material makes it comfortable to wear for long periods, and the already sound (pun intended) audio quality was enhanced by built-in noise cancellation. As a bonus, the smart sensors and voice commands allow you to conduct phone calls without ever having to touch your headset. Plantronics sure do know how to engineer the perfect office headset, rumor has it that NASA uses this company for moon-landings, and the CS540 is another beauty that we recommend for almost any office. Like the Voyager Legend, the CS540 also emphasizes audio quality and comfort, clear sound output boosted by Plantronics-patented noise cancelling, and its user can choose to wear it over their ear (Bluetooth) or over their head (headset) based on preference and situation. The CS540 has a unique feature that allows a connection range up to 120m that far exceeds the competition. I’m a sucker for cordless headphones, The Jabra Evolve 65 is a high-performance headset with Dual-connectivity, headset and Bluetooth options. This well-rounded headphone provides great bass-heavy audio, and great comfort, even though there are no cushioning on the top of the headband, the ears are very well cushioned and light. The Evolve 65 provides 30m of connection range on its Bluetooth connection, and its long battery life allows its user to go through a full work day without needing to worry about it, even if the battery dies, the dual connectivity allows the headset to plug into the computer without a battery using a USB cable.